As KVD's beauty range is finally hitting down in the UK online next week, I thought I'd share my thoughts on one of the items from collection. I've been wanting to try the Lock it tattoo Foundation for a long time, due to it's colour range catering to us pale folk (KVD has darker skin tones too and even more shades are being released soon) and after reading rave reviews about it's full coverage. Truth be told, application of Lock-It Tattoo foundation took a while to get used to. The consistency is rather thick and little is needed. If too much is used, it's difficult to blend out and also set in my smile lines. Be warned, Lock it dries super quickly. After experimenting with different techniques, my favourite method is dabbing motions with a damp Real Techniques sponge. 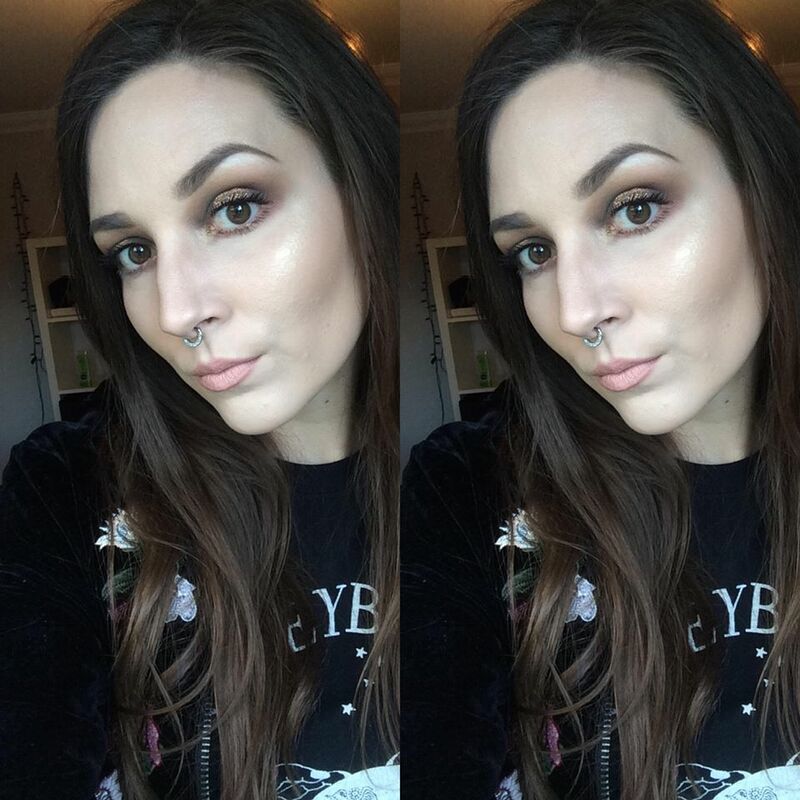 Given that this foundation claims to cover tattoos, I had high expectations in terms of coverage and they were absolutely met. Everything from redness, dark circles, freckles and spots disappeared! As with every full coverage foundation I've ever tried, Lock It can go cakey or wear away in drier areas so if you are on the dry side, this isn't for you. I'm combination and find that as long as I moisturise and use a hydrating primer, Lock-It stays put. If you prefer a more natural-looking foundation, you may not love KVD's foundation either as it gives a matte and "airbrushed" appearance. The packaging is super pretty but also really sturdy. The bottle is quite big and the stopper a bit fiddly so maybe not a go-to for travelling. Lock-It Tattoo foundation is the closest to perfection I've found so far since going cruelty free, once you get the hang of application. For me, it's a bit much and too nice to use as an every day on it's own so I tend to mix this foundation with another to help thin the formula out slightly but make sure I'm covering imperfections. Have you tried any Kat Von D make up? Which items are you most excited to try?